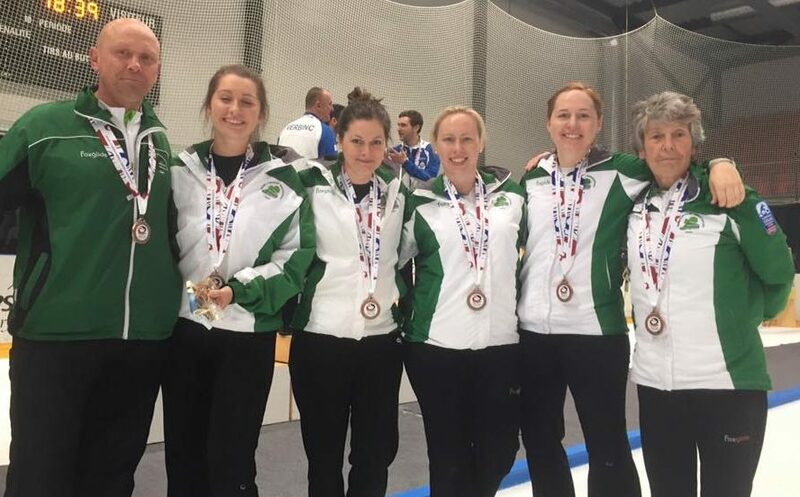 The current Irish ladies curling squad (Team Anderson) have announced that Kerry Group has come on board as main sponsor to the team for the forthcoming WCF C-Division European Championship and the 2016/2017 season. “We are absolutely delighted to be joined by Kerry Group. Their generous sponsorship means that the ladies can invest in the future of the team. “Kerry Group’s sponsorship also secures the attendance of Coach, Martin Sutherland at the Championships, something which the Team might otherwise have been unable to afford without securing sponsorship. In addition to the Kerry Group sponsorship, the ladies area also pleased to announce that they have agreed a deal which sees them join the Hardline Family (#Hardlinenation). Watch out for the Irish Ladies using Hardline Power Grip brooms at the C-Division Championship and at competition throughout the 2016/2017 season. This entry was posted in Announcements and tagged Hardline, Kerry Group, Sponsorship, Team Anderson by LouiseKerr. Bookmark the permalink. That’s fantastic! I’m looking forward to following your progress…good curling, ladies!